Until a few weeks ago, I would pay a student worker in a kiosk adjacent to the parking ramp where I have a meeting each Friday and have a ticket validated before returning to my car and exiting the garage. The facility changed to an automated system earlier this year and as I passed the empty kiosk with its venetian blind pulled down behind the cash-handling window, I thought about who might now be out of a job because of this latest “advance.” Perhaps it was on my mind because of a snippet of a story I heard this morning on NPR about all of the telephone operators that were fired in the 1930s as AT&T switched over to an automated system. Technology has steadily displaced human workers, moving workers from manufacturing to service industries. This is a form of progress and for the most part is positive. But if we don’t need the parking lot attendant, or the delivery driver (because of automated drone-executed deliveries), if we don’t need the service sector jobs, what sector will the human move to next? 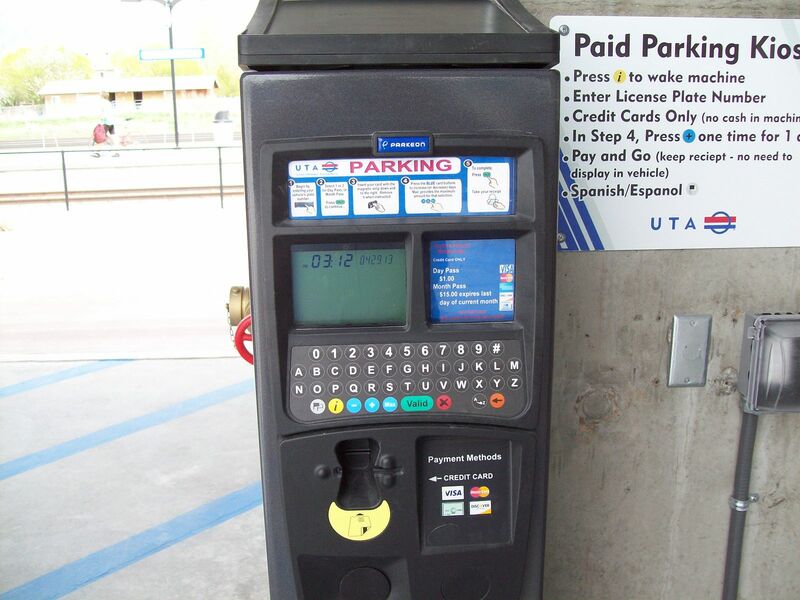 The arts are not as easily automated as a parking garage. This “inefficiency,” of course, is at the root of “cost disease,” which, in a nutshell refers to the fact that in certain fields (think symphony orchestras) as labor costs rise there is not – nor can there be -a concomitant increase in labor efficiency; technology won’t reduce the number of musicians it takes to perform Beethoven’s Fifth Symphony live. But it isn’t Baumol’s cost disease that I was thinking about as I considered the displacement of the garage attendant – it was the spiritual dimension of art itself. Let’s put economics aside for a few minutes. If art is a way of knowing and understanding the world, it is because it connects with humanity at its essence. An artist connects with her/his audience intuitively, emotionally. As hard as the economics of art-making may be [damn! I couldn’t leave it alone], artists cannot be automated out of their work. The bar is raised, however, on creating the authentic connections between people and their world so that that world understands the true value of the arts. This entry was posted in arts infrastructure, Culture and democracy, Technology and arts. Bookmark the permalink. Our survival as a species depends on artists like Adams making work that “inspires people to listen more deeply,” to listen in a way that *expands* what they know, think and experience and helps them to understand the world. I too have the same desires for the art I bring to the world, if on a humble scale. And I would say that as far as intention and desire go, you can’t simply automate that. That was essentially the suggestion I was making in my first point: That the expression, the purpose, of artists is something intrinsic to the makers themselves. Purpose is a human quality in the same way that any attempt at meaning is. It is something we ourselves must make from the raw stuff of our lives and a meaningless Universe. But its also something we ‘find’ there as well, and that is the part that escapes the need for a human maker. We find meaning out there in the world without it being made with the help of a human hand. We are makers of meaning and observers of meaning. I took the point of your post to be that artists can’t be replaced, and as I suggested in my second point, if we are treating art as simply an object to achieve an effect, say ‘inspiration’, then why could it not be automated? Why would an automated art not “Inspire people to listen more deeply”? Because its not human? But then can’t we draw the same conclusion about nature? Are we going to say that nature leaves us cold and has no power to inspire us to “listen more deeply”? If the most important thing about art is that it inspires us in this way, the origin of the art is irrelevant. Right? If a mountain or a falling leaf can inspire a person to look more deeply then the inspiration is the audience’s responsibility, not the maker’s, even if there IS a maker. To BE inspired, that is the question. And if its the artist’s function to put the best things in front of an audience, the things that will better lead to this inspiration, then its not an artist’s duty alone, but teachers of every kind. For that is what an artist is in this circumstance: A person who shows us or teaches us something about the world. But there are many such teachers, and they are not all human. If I can be inspired by the falling snow, by a running stream, by swarming ants, by flying birds, by the thrum of an engine, by the intricacy of a swiss watch, by the abandoned warehouses on the other side of town, by the chipping paint on an old fence…, then inspiration can properly be found ANYWHERE. The truth about inspiration is that it is not the responsibility of artists but that it depends on the curiosity and ability of the listener, of the ‘student’ and audience. So you have to say that good artists often do a good job of inspiring us. They are good teachers for what we can be inspired by. Their example makes a difference. But the good examples are there for us regardless of the presence of good artists. Do we think that cultures without good artists lack the inspiration to listen more deeply? Before the invention of art were people simply NOT listening? Thankfully it is the capacity of the human mind to be inspired, and it didn’t wait around for artists to arrive on the stage and show us how. So the point I am making is that artists are great and important because they care about these things. They WANT to make the world a better place. That is our job, to some extent. But artists are not the only source of inspiration that will make this difference, which seemed to be the question underlying this post. And if that is the case, then why not an automated art that does the same thing, that generates original things we can be inspired by? Is that not something that is theoretically possible? I still have not heard why the human actor is essential, and that was what I took the point of this post to be about, that “artists cannot be automated out of their work.” I’d say “We should not want them to be automated out of their work” but that doesn’t mean they can’t be replaced in some form in some instances. You only have to look at DJs spinning records to see how replaceable live musicians are. Or listen to the radio…. From where I sit Linda makes art sound like something whose success is based on how much it connects with what humans are already thinking or experiencing. And Carter thinks what makes something art is how successful it displays the expression of the artist themselves. I think both are incomplete notions of what art is. Today, good art is that which shows, or tells, or presents us something more than we are already thinking. That is why all this rhetoric about engaging with community and audiences fails art. If an artists wants to get a NEA grant by partnering with an arts organization they have to fill out pages of forms that show (one could say they even have to prove) that the work will engage or communicate with the community or audience in question. That is a ridiculous means of social support for art making. Most of what we consider to be great art in the last 50 years was initially rejected by the public. And I would make a subtle but very important tweak to Carter’s idea of what artists do. Art making is more of an artistic experience than an expression. An expression of what? My self as in self- expression? I’m not expressing myself when I make a painting. I’m trying to express something much more than my self. I’m trying to create an worthwhile aesthetic experience. It’s the result of that experience, the painting, the poem, the performance, that an audience should feel worthy enough to appreciate, to purchase a ticket to or to purchase the object of the experience itself. Why audiences and viewers may or may not being doing that today has more to do with them than it does with what artists are doing. There are two different questions here, and each answers how ‘automation’ has a role differently. 1) The artist creating cannot be replaced in the sense that to her own experience art isn’t just an object in the world but an EXPRESSION. The artist expresses art. That in itself is direct and unmediated. You can’t replace what the artist herself does because it IS what the artist does herself. It is art for herself before it is art for anyone else. The art is the artist’s own performance of ideas. That is the price and meaning of expression. On the otherhand, 2) art isn’t just expression but objects in the world that are consumed by an audience. In that sense the object is the issue, and it doesn’t really matter where it came from. A human is no more capable of creating it than a machine, it turns out. And the idea of artificial intelligence even opens the door wider than automated art merely based on human designs. Do you remember the Createquity post a few years ago that explored this? Its a good introduction to some of the issues we face. The problem with treating art as solely a property of audience experiences is that it confuses an artist’s own purpose for art with the object of art that gets produced. Even when the intention of art is to communicate or make a statement there is a hidden art in the performance of that expression. Many artists in fact are more than a bit interested in that intrinsic side to art. If art is just an object for public consumption, then why wouldn’t it be possible to automate an audience’s experience? We read plays that are published as books, we listen to concerts that are reproduced as tapes and cds, and we have coffee table books of some of the greatest art treasures in art museum history. I’d say that automation is already a pervasive part of an art audience’s experienc. Its both production AND distribution. I can’t help but think of Woody Allen’s futuristic film Sleeper and the Orgasmatron. According to that fanciful vision even our most basic human intimacies can be replaced with automation. Its not a display of affection because it gets transformed into a consumer experience. If we look at things simply as consumers we get into all sorts of tangled issues. Isn’t that a call for us to obsess less about the mere objects of art, what the audience gets out of it, and focus more of our attention on the productive and creative side of the artists’ own experiences and purpose? That’s how I would read the situation, at least…..